Living in an old house can often pose certain design challenges. 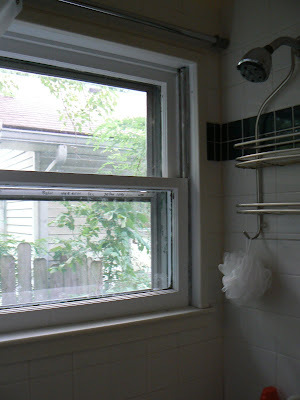 One of the very first design challenges I had to conquer was the window in the shower. Not only is there a window in the shower it is on the same side as the shower head so there is full exposure of the chest area up. 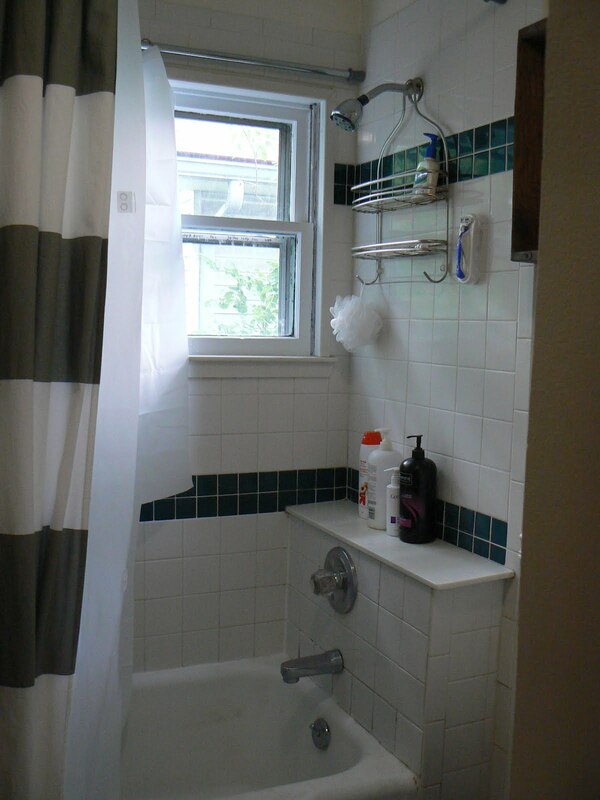 The guy who lived here before me didn’t have anything over the window but he was a guy and nobody cared if they could see his chest in the shower, but it was kind of an issue for me. My original idea was to frost the window. 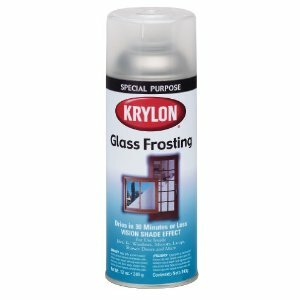 Spray on froster (I actually used this to frost the small windows in my basement and it worked great!). 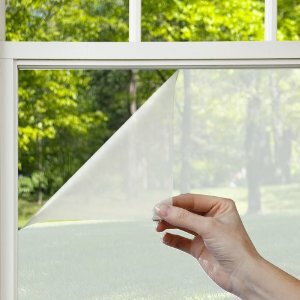 Then when I had my home inspection the inspector said… Frosting only provides privacy it doesn’t protect the window from moisture which it will get a lot of since it is in the shower. So on to plan b. Somehow I had to cover the window but retain the light that the window gives off. So here is the solution I worked up and honestly I don’t know how I came up with it. 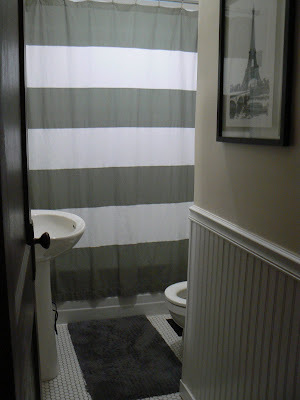 First, I added a second shower curtain rod. Second, I used a semi-translucent shower curtain. It lets the light shine through but keeps my neighbor from seein’ my business. 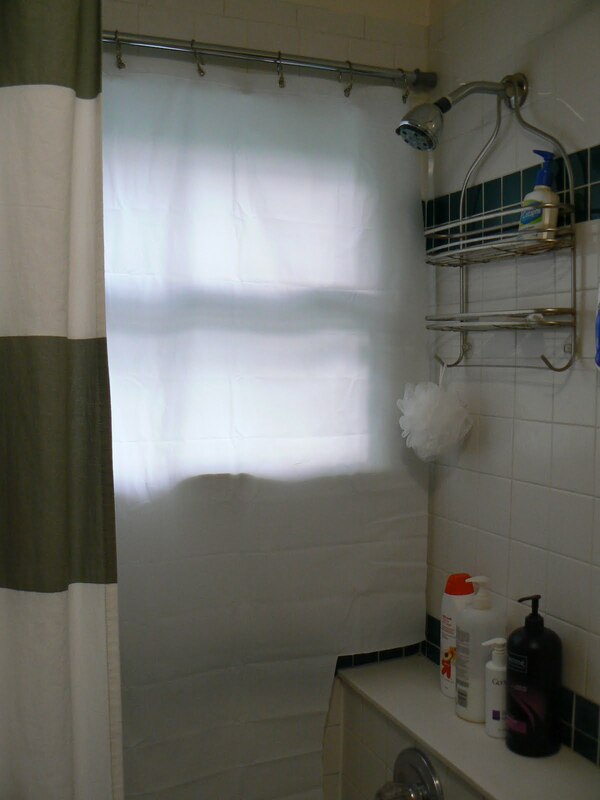 Third, I cut out the shape of the shelf so that the shower curtain lays flat. And voila! Design problem solved! At first I felt like I was showering in between clotheslines but it doesn’t bother me any more. The rods have both stayed up fine and feel ‘safe’ from prying eyes. Have you come across any weird design challenges in your house?